Here in the UK, if you’re caught in possession of class A drugs you could go to prison for up to 7 years. For dealing, it could mean a life sentence. And yet it’s been estimated that almost 6% of 20-24 year olds in England and Wales use class A drugs. 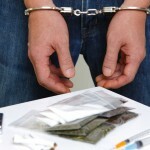 While the link between class A drug use and criminal activity is not clearly defined, there certainly seems to be a link. Primarily for this reason, the societal cost of problematic class A drug use in England and Wales has been estimated to be over £15 billion. 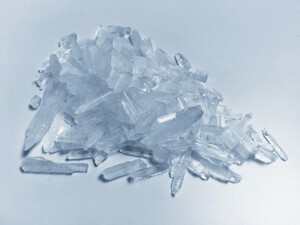 Services for substance misuse in the UK primarily serve opiate and crack users, and so this is the focus of UK-based initiatives. 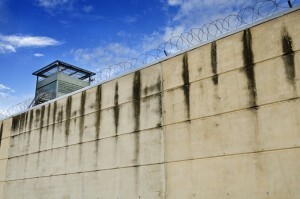 In 2010, around 30% of people starting treatment did so via a criminal justice system referral. Funding for the UK’s Drug Interventions Programme (DIP) – the primary means of diversion – stood at around £91 million in 2012/13. That arguably leaves a lot of room for investment if that investment can reduce societal costs. But throwing money at the problem is of course not a solution; we need to know what works. And we also need to know what we actually want these programmes to achieve. We’ve considered some of the interventions which might reduce drug use and criminal activity in drug-using offenders before (Walsh, 2014); today we’ll focus on diversion. 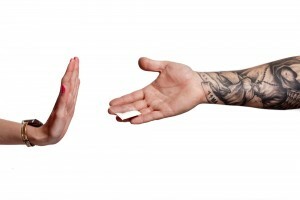 Diversion initiatives like the DIP involve the identification, assessment and case management of drug-using offenders within the criminal justice system. A new Health Technology Assessment report asks the question of whether diversion and aftercare works, and whether it is likely to be cost-effective in the UK (Hayhurst et al, 2015). Identification of uncertainty and the needs for future research. It’s worth mentioning what the authors took ‘diversion and aftercare’ to mean. Diversion is understood to be the identification of offenders with a drug problem, with subsequent criminal justice interventions involving specific treatment, rehabilitation or education for drug abuse. Aftercare is the treatment or intervention activity following any relevant diversion event. Thirty-one electronic databases were searched, in what appears to be a far-reaching and comprehensive review. The review included studies that examined adult class A drug-using offenders who came into contact with the criminal justice system and were subject to a diversionary scheme. The authors sought to pool data using meta-analysis and to then use the data to populate an economic model to estimate cost-effectiveness. The economic model evaluated intervention based on the broad range of services used in the UK, compared with no formal identification and assessment process. The primary analysis considered outcomes for 12 months following the contact with the criminal justice system. The primary outcome was quality-adjusted life years (QALYs), and the consequences of offending behaviour were accounted for indirectly via their cost. 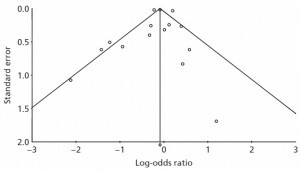 A number of one-way and multiple-way sensitivity analyses were carried out to gain an understanding of uncertainty in cost-effectiveness estimates. Just 16 studies met the inclusion criteria for the effectiveness review; 10 of these were US-based and 4 were UK-based. The American studies focused on the impact of the Californian Substance Abuse and Crime Prevention Act (SACPA) referral. The studies were generally of poor methodological quality. Meta-analyses, where possible, indicated the potential for a small impact of interventions on reducing primary and secondary drug use. It wasn’t possible to pool data for outcomes relating to offending behaviour due to a lack of commonality in the outcome measures used. The meta-analysis also found that users of class A drugs – compared with other users – demonstrated a lower rate of treatment completion. The review of cost-effectiveness studies did not identify any relevant studies. The main sources of data for the economic model were the UK Drug Data Warehouse, the UK Drug Treatment Outcomes Research Study and published government statistics and reports. Costs and outcomes showed wide variance, with no clear indication of whether or not diversion would be cost-effective. The probability that diversion is cost-effective is estimated to the be about 50%. The point-estimate indicated that DIP is associated with net savings and a small QALY benefit. The sensitivity analyses served to highlight the extent of the uncertainty in this estimate. The authors also highlight that there is uncertainty regarding the structure of the model, the effects of which are difficult to quantify. The current evidence is inadequate. We can’t make any clear assertions due to the wide variance in the findings of different studies. The causes of this variance aren’t clear. It may be due to differences in the populations being considered, in which case it may be important to evaluate diversion for different subgroups. Alternatively, it might just be because the studies are not of a high quality. Treatment completion was the most commonly reported outcome measure, despite not being a valuable end in itself. Few studies reported health and well-being outcomes, making it difficult to consider the benefits in a healthcare context. Evaluation of effectiveness and cost-effectiveness by definitive randomised controlled trials. The usual “more research needed” is an understatement in this case. Walsh K. Interventions for drug using offenders: What works in reducing drug use and criminal activity? The Mental Elf 2014. @Mental_Elf agree – Evidence-based research in the criminal justice setting is lacking and underdeveloped compared with clinical research.